Most people know what love is and are equipped with the capacity to love. Poetry set to music (lyrics) attempt to define this lofty state. There was a song made popular by Steve Winwood in the 1980’s which spoke of a “higher love“. We aspire to that standard, but what is “higher love?” There are certainly different genres of love. People have attempted to define love since Biblical times. In Corinthians 13 quotations can be found that define love. These familiar words are used in nearly every wedding ceremony. “Love is patient, love is kind…” It continues that love bears no envy, no pride, is not self-seeking, and so on. In reality, these are simply pure human virtues, but selflessness seems to be a common thread. Mothers recount that when their child was born, they looked at him for the first time and experienced a love that filled them from the bottom of their soul to the end of their existence. They say it was as if they never experienced love at all until that moment. They instinctively knew they would sacrifice themselves to save him without a moment’s hesitation. Innumerable songs have been sung about a mother’s love. Some bear that very title, as written by Jim Brickman (“…thank you for every selfless, unsung deed…”) and performed by Diana Ross (“…a mother’s love is forever, a mother’s love is for free…”). The prevailing belief is that loving means putting another’s comfort and happiness above one’s own. This is true in theory, and most times is borne out in practice. 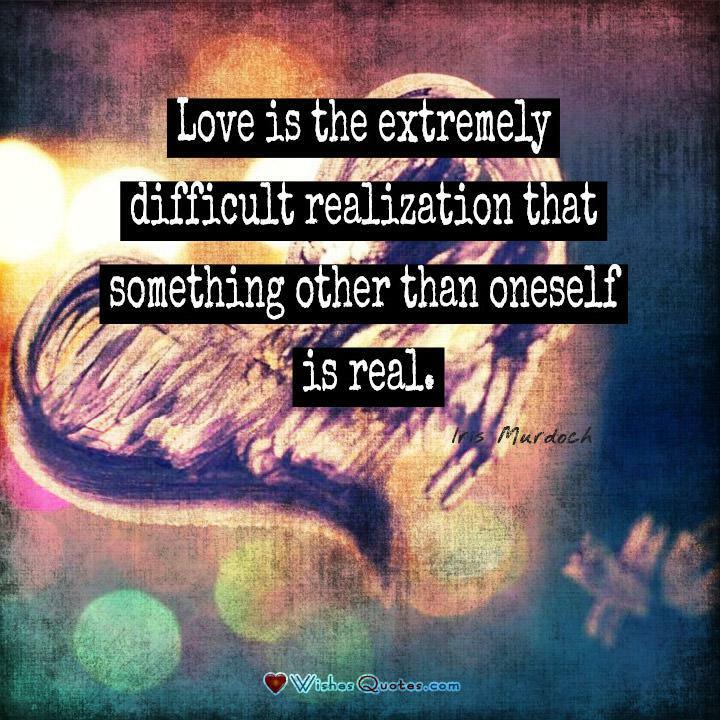 However, one must place love for “self” first, or it’s impossible to fully love others. Any actions which help or satisfy others, but exact too large a cost to one’s own self-respect, feel hollow.Love is a verb. Loving our planet, for example, is real and admirable but without action, that love is moot. Acting upon love means improving a place, person or situation, even (and especially) without reward. This is a situation where size does not matter. Expending the effort to bend over and pick up a discarded coffee cup on the sidewalk is a manifestation of love. We LOVE love, we seek love, we aspire to love, we hope for love. It is what defines human growth and enlightenment on Planet Earth. Different people define love in different ways so browse through this collective wisdom and you can sharpen your own perspective. What is love? When we’re in it, we know it, as surely as we know when spring has arrived or the sun has risen. But how can we explain it? As easy as it is to feel, love is notoriously difficult to describe. Many great writers and thinkers have defined love throughout the ages, and they have managed to clarify that powerful mix of emotions that makes the rest of us so tongue-tied and starry-eyed. Below are some of the best thoughts about love, along with an explanation of the author’s words. The next time you’re at a loss for words with your significant other, try using one of these quotations to help explain how you feel. For Merton, it is clear that love is a basic requirement to live a fulfilling life. If human beings are to understand their purpose in the world, they must open themselves up to falling in love with another person. Only then can they comprehend what life is really all about. Merton feels that love is the ultimate fate of each person, if only they open their eyes and hearts to let it happen to them. Although nowadays we tend to think of “paradise” as a white sandy beach with palm trees and fruity cocktails, the original definition of the word was more religious. “Paradise” in its traditional sense refers to the Garden of Eden, a wonderful home that was closed off to Adam and Eve due to their original sin. In this sense, love is the one thing that can offer us a reminder of the perfect comfort and acceptance we knew before we lost our innocence. 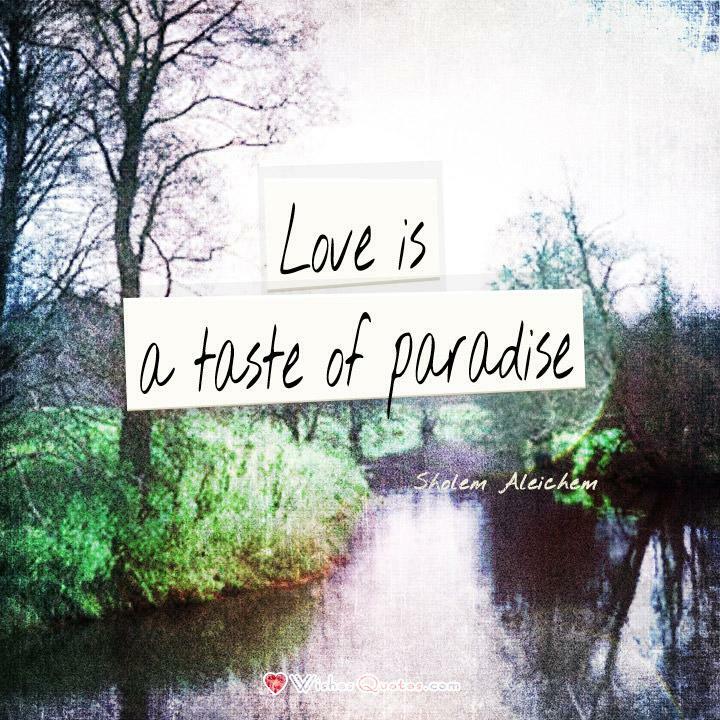 “Paradise” can also refer to Heaven, and in this sense being in love can give us a little bit of transcendence right here on earth. For novelist Erica Jong, you can’t have love without being willing to sacrifice to achieve it. Love may only come after a struggle, and it can take all the strength and courage we have to make it work. It also involves risk: after all, we might be painfully rejected by the object of our desires. 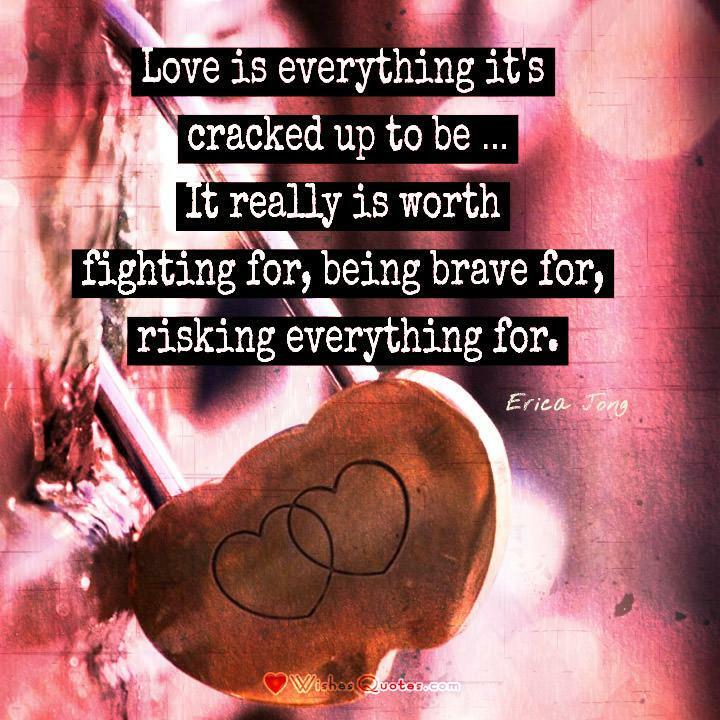 In spite of all of these potential pitfalls, love is worth its high cost. It is the prize worth fighting for, and it truly is as wonderful as all the poets have always made it out to be. For the ancient Greek philosophers, there were many different forms of love as well as many different words to describe it. Aristotle believed that the soul is the thing that makes each human being exist as an unique individual, and the soul could not be separated from the body. Love, though, presents a completely different case. 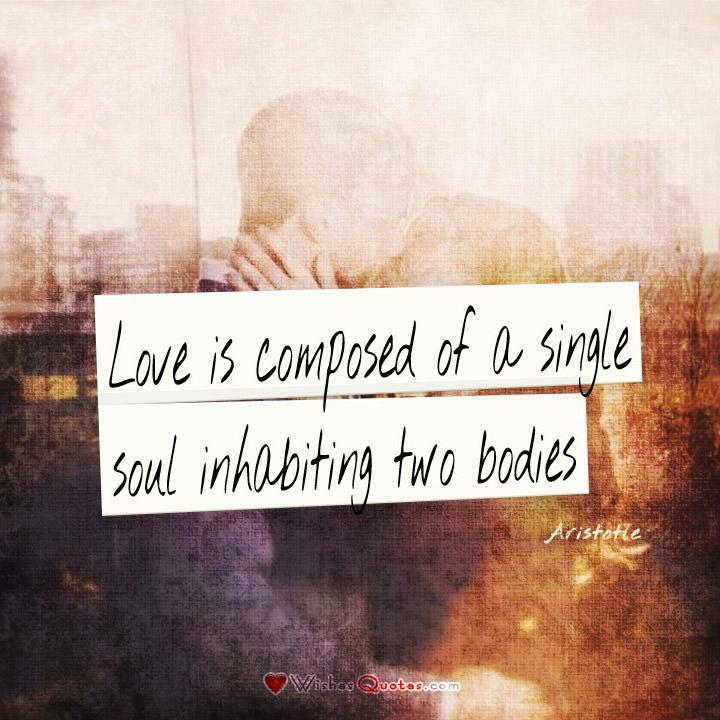 When Aristotle states that two bodies, or people, share a soul, he suggests that there is only one person in the world who can love and understand you perfectly. This is because that special person is already a part of you. 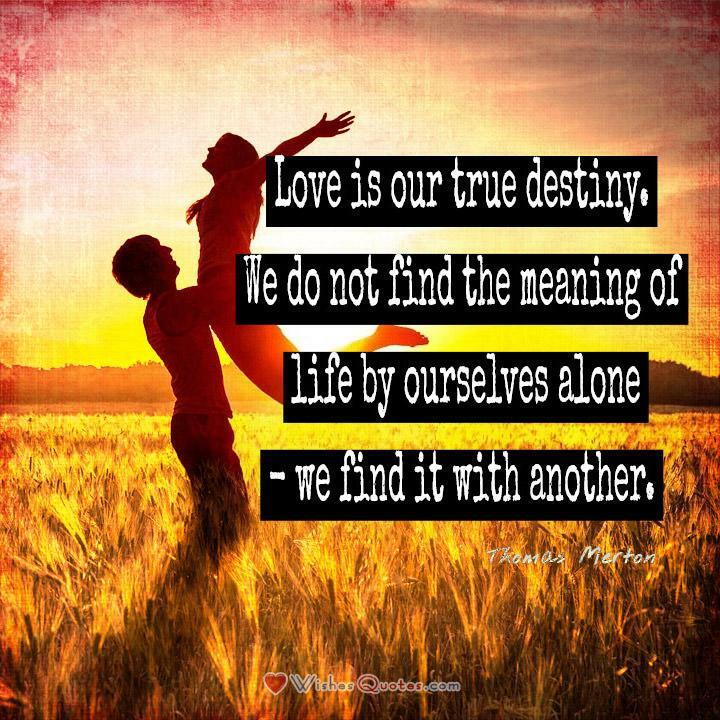 Our highest purpose, then, is to search the world until we find the matching piece of our soul in another human being. Although that could be a long and difficult process, Aristotle’s philosophy gives us hope that a soul to match our own is definitely out there, if only we continue the search. As we get older, we know enough to realize that love isn’t always the guiding force in the world. If that were true, there would be world peace and perfect marriages everywhere we looked. 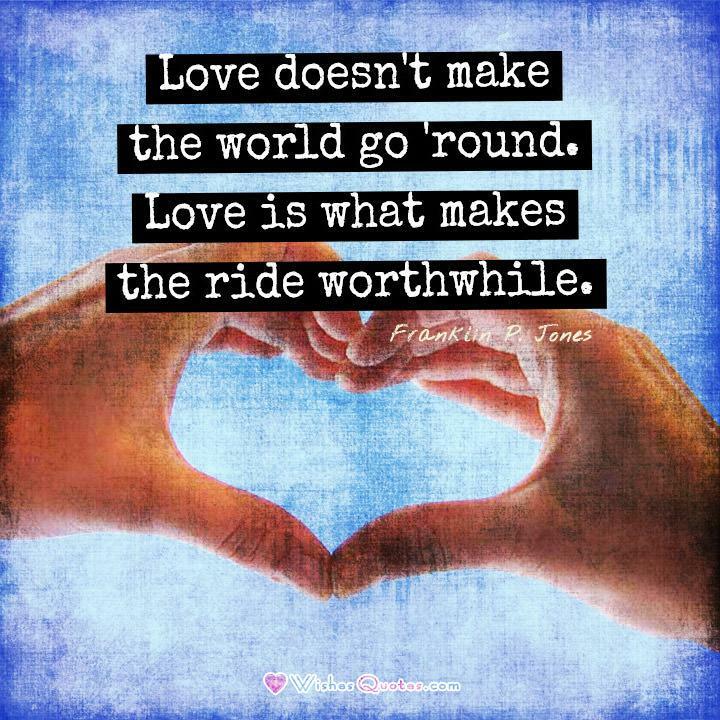 Jones reminds us that, despite our imperfections, love is the force in the world that makes life worth living. He knows that love will be a ride full of ups and downs, but, like a roller coaster, it will be exhilarating. 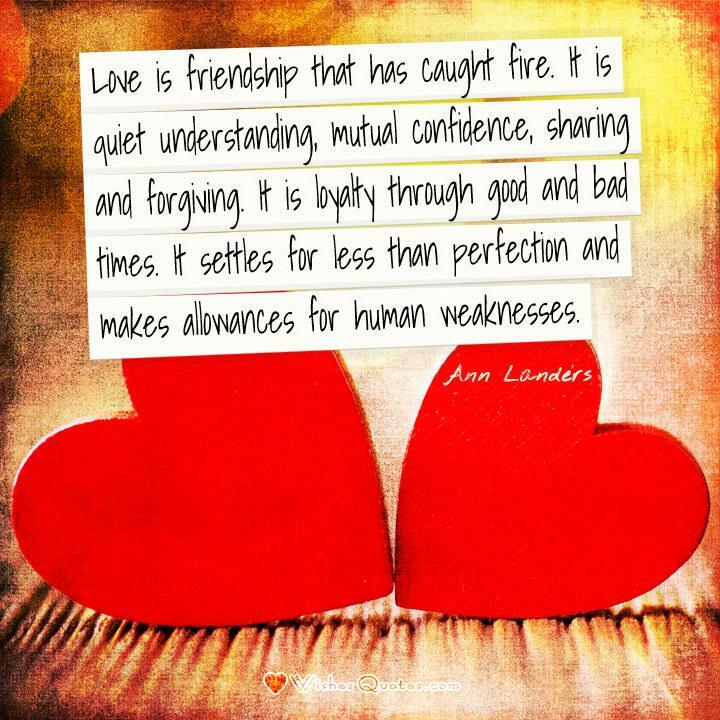 It should come as no surprise that world-famous advice columnist Ann Landers has a practical definition of love. She wisely points out that a strong and lasting love is solidly based in friendship. All of the same qualities that make great friends (unselfishness, loyalty, and a willingness to forgive) are also required in a successful romantic relationship. The only real difference between a lover and a friend is the fiery spark of passion, but this will quickly burn out without being fueled by mutual respect and understanding. Iris Murdoch describes love from the point of the view of a mature adult. For her, a full understanding of love comes only after one is old enough to take into account the thoughts and feelings of someone else. Although it might seem obvious to say that other people are “real,” she means that until we grow up enough to accept that other people have their own thoughts and feelings, and that their needs might be different from ours, we will not be capable of falling in love. Everything before that point is mere infatuation, which is more about our own desires than the well-being of someone else. When we care more about our lover than ourselves, we have found true love. 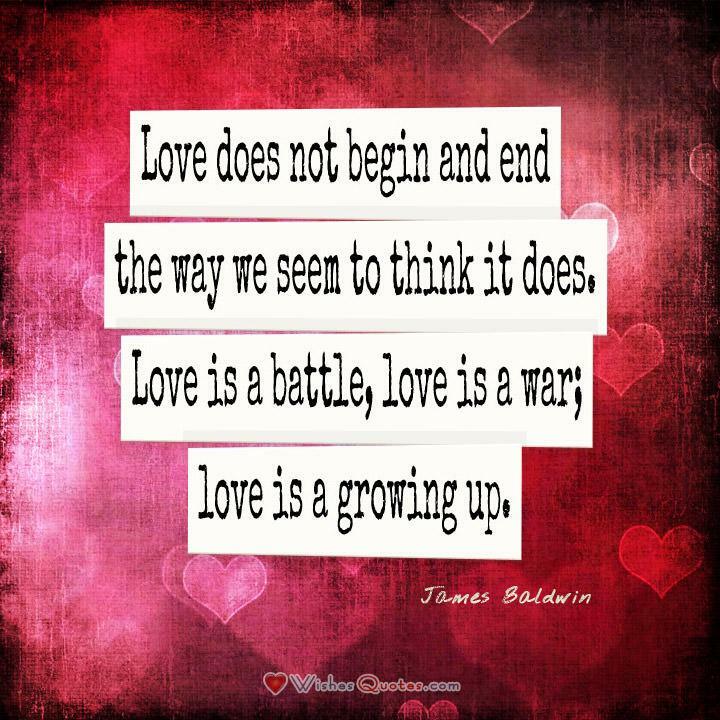 Like Iris Murdoch, James Baldwin is another novelist who views love as an important part of growing up. Part of becoming mature enough to understand love involves letting go of childish ideals. For Baldwin, real love is a much more difficult, even painful, aspect of life. He compares it to a struggle one must go through. Although the end result may be wonderful, getting there can hurt at times. Like any other part of the metamorphosis into adulthood, the growing pains will lead to fulfillment in the end. 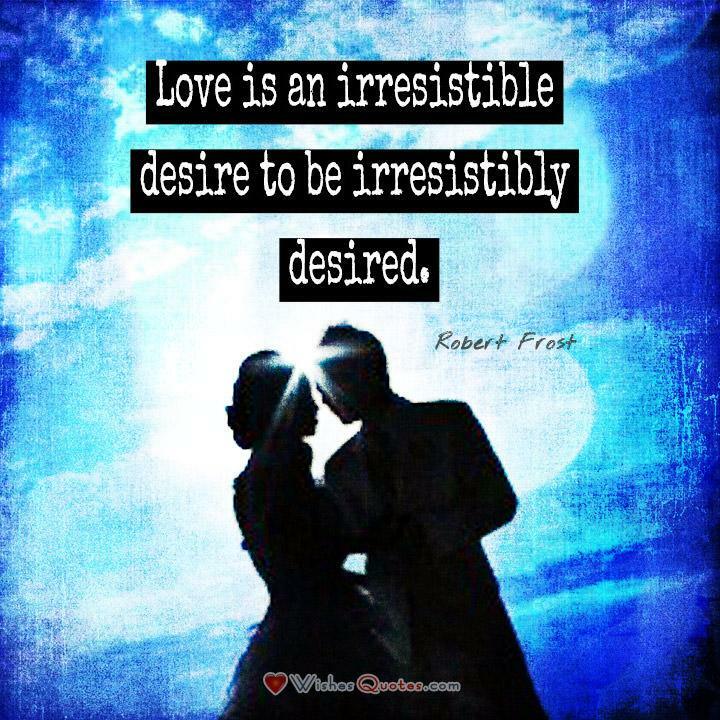 Poet Robert Frost has a more playful definition of love. Rather than describing a struggle for knowledge or a painful sacrifice, he knows that pure desire is also a big part of falling in love. That desire can be incredibly powerful when the chemistry is right between two people. A person in love doesn’t just want their lover in their arms; they also want to be wanted. Frost realizes that being in love is a state of emotion that reinforces itself: the more in love you feel, the more you want to be in love. The magic of love fuels itself. 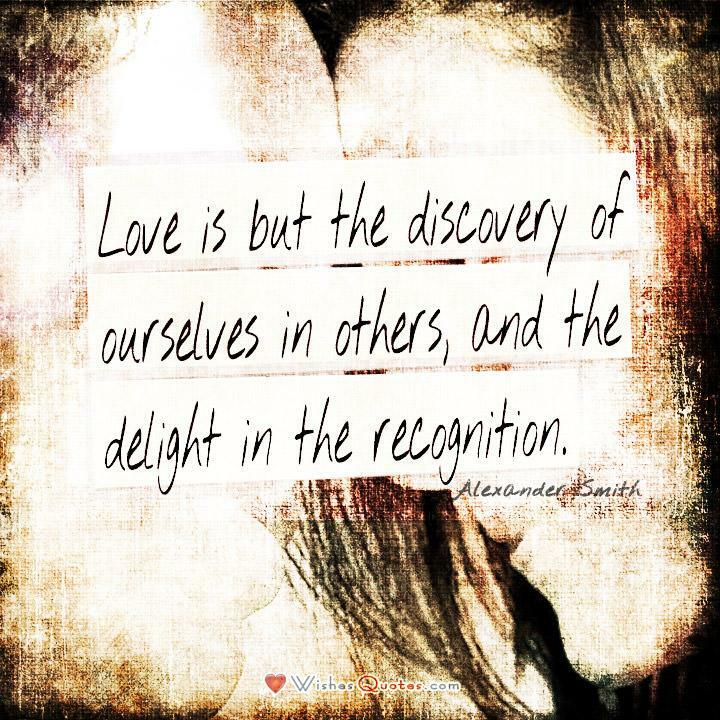 Like Aristotle, Alexander Smith feels that people who share a true love are connected to each other on a higher level. To love someone is to see something in that person that you recognize in yourself. This could be a personality trait, a common belief, or a shared goal in life. No matter what the connection is based on, finding it will bring a lifetime of joy and contentment to the happy couple.